Elegant Wonder is a beauty! It is made with Half Square Triangles and Quarter Square Triangles. 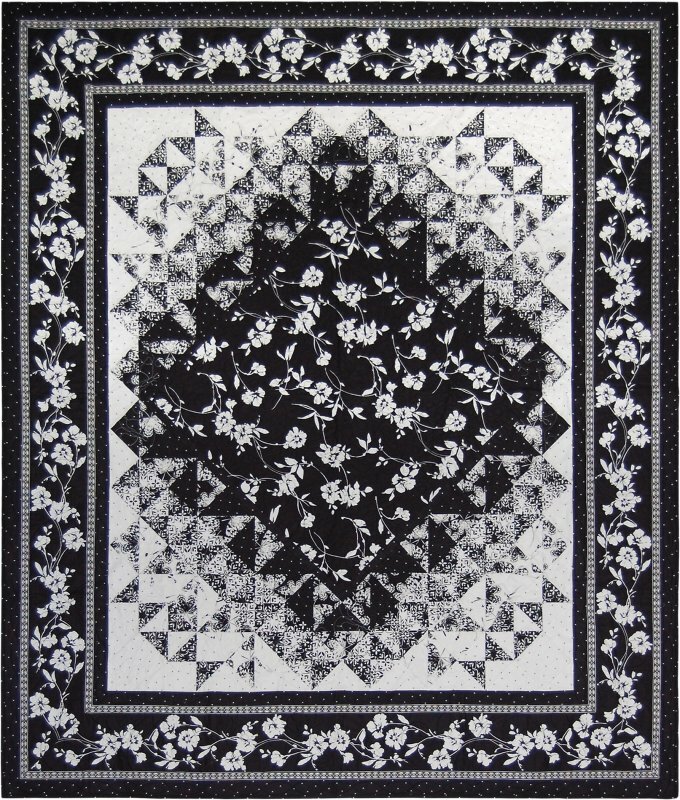 The fabric is from Maywood Studios, but grab your collection of Black/White fabrics and find a great border print and this quilt can be zooming through your sewing machine soon! Quilt measures: 82" x 96". Quilted by: Top Stitch Quilters.